Robert Woodhead Ltd continues to buck the trend with five further appointments at the construction company. The workforce has seen growth in the first quarter of 2013 and has significantly increased from 51 members of staff in 2011, to 73 employees currently. 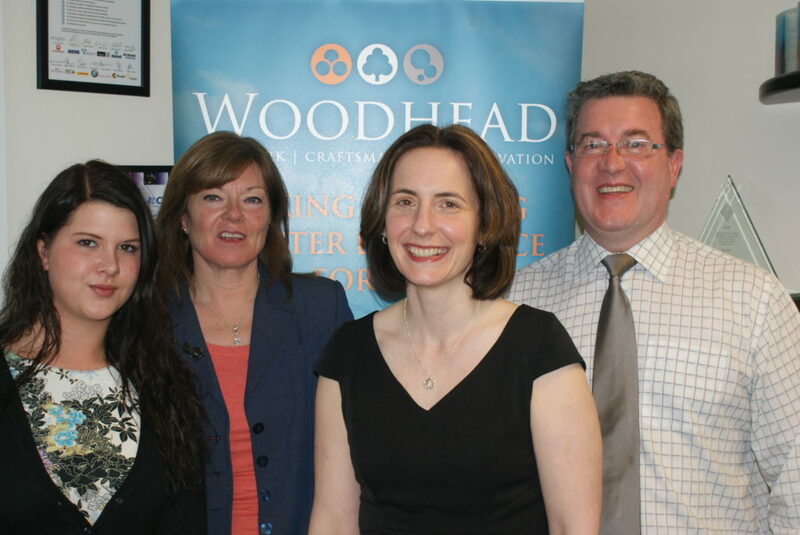 Despite the growth Robert Woodhead Limited are still a family owned company operating in the East Midlands. Their growth has seen them undertake a number of complex projects such as conservation works to Lincoln Castle Walls, a highly sustainable new build Heritage Skills Centre within the grounds of Lincoln Castle and a number of projects at the University of Nottingham including a BREEAM Excellent extension to Grade II Listed Highfield House. The new starters include Juliet Slater who has been employed as a Project Manager and will lead on Public Sector Minor Works and EMPA projects. Juliet will also help the company expand into Lincolnshire and build on the success of recently completed projects in the area. Simon Boden has also joined Robert Woodhead Ltd as a Senior Estimator having previously worked for Baggaley Construction. Simon has over 30 years experience in multidisciplinary roles within the building and civil engineering sector. Woodhead One the specialist repairs and maintenance arm of Robert Woodhead Limited have also taken on two new recruits Chloe Appleton-Goldstraw and Elaine Hemans both technical clerks who enable the rapid dispatch of operatives to responsive call outs across the East Midlands. The most recent appointment suggests that the Nottinghamshire construction company has a clear vision of growth. The appointment of Fay Paterson as Business Development Manager highlights the company’s ambition to grow, in what are difficult trading conditions. Fay brings with her over 16 year’s experience within the construction industry including time at Baggaley Construction. Left to right: Chloe Appleton-Goldstraw, Technical Clerk (Woodhead One) Juliet Slater , Project Manager (Robert Woodhead Limited), Fay Paterson, Business Development Manager (Robert Woodhead Limited) Simon Boden Senior Estimator (Robert Woodhead Limited) the fifth new starter Elaine Hemans, Technical Clerk (Woodhead One) is not pictured.